Would start a classic rock station. It would be cool if we could take over/fortify radio stations and get them working again. Not sure how much power that requires but I suspect a radio station might have it's own generator backup so it could just be a matter of getting any needed parts and fuel to run it. Although I would also suspect if this was possible people would also just use it to troll. In any case, again if this is a possibility some time down the road, you'd likely need a decent group with a 24/7 rotating presence to ensure it doesn't get taken over by someone else. Which part in particular? I sorta covered a bit there. I know we'll be able to power buildings with portable generators at some point, but I figure certain buildings would have their own dedicated generator backup (hospitals, fire stations, police stations, etc). A radio station would be likely to have their own, especially on an island, to provide emergency/weather alerts should the power be down. A portable (hand carry) generator could power the radio station building itself, but likely wouldn't be enough to power the antenna. A towable generator could likely handle it though. Anyways, since we're talking about radio stations here I figure I'd mention they would likely have their own on-site generator to power everything. It could be a stationary solution or a towable one, but nonetheless would be on-site (or somewhere easily accessible like a nearby storage garage) in the event of a power outage emergency. Working radio stations would be awesome fun in RP heavy servers for sure! This is a Walking dead moment right there. Talking over the radio to the loudspeakers across the land, calling people to the town centre when the sun is highest in the sky. So much potential for great moments here. 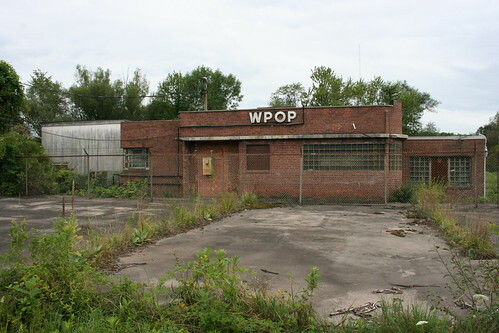 I would think a radio station would be an excellent place to fortify as well as it's likely to have a chain-link fence with barbed wire on top around it, or possibly only around part of the building and around the radio tower if it's far enough away from the building, especially so if it's located somewhere rural rather than inside a town/city. If I remember correctly the radio tower we saw during the stress tests did have a chain-link fence around it, I just don't think it had a working gate that we could lock up. the first image looks like the radio station in dayz standalone. I know I suggested the idea of a movie studio, I now know that it's not really a fit for Black Island. I like it. I imagine this building would be somewhat similar to a radio station building, except with studios instead of radio booths (and TV broadcast industry related equipment instead of radio stuff of course). Wouldn't it be great to find a zombie wearing a nice suit & tie and with something like sweat pants? Also like the radio station, this could potentially be a great place to discover some "lore" about what happened. Scattered notes, faxes, etc.